We departed The Portcullis in Stirling and headed to Oban via ScotRail. The trip by train was a dreary day but conversation onboard with various travelers made the journey so enjoyable. The route took us from Stirling to Glascow, switched trains to Claircarich where we split the train and on to Oban. Crianlarich (kriːənˈlærɨx/; Scottish Gaelic: A' Chrìon Làraich) is a village in Stirling council area and the registration county of Perthshire, Scotland, about six miles north-east of the head of Loch Lomond. The village's name derives from the Gaelic for "low pass", relating to its geographical location. Crianlarich has been a major crossroads for north and westbound journeys in Scotland since mediaeval times. In the 1750s, two military roads met in the village; in the 19th century, it became a railway junction on what is now the West Highland Line; in the 20th century it became the meeting point of the major A82 and A85 roads. As such, it is designated a primary destination in Scotland, signposted from as far as Glasgow in the south, Perth in the east, Oban in the west and Fort William in the north. The village bills itself "the gateway to the Highlands", a not uncommon claim - for example, Callander, Dunoon and Pitlochry also do so. The village lies in the glen of Strath Fillan at the north western extent of the Trossachs, lying in the shadow of several Munro peaks, notably Ben More, but also Stob Binnein and Cruach Ardrain. Thus Crianlarich is very popular with hillwalkers. Also the village lies halfway along the long distance footpath, the West Highland Way. 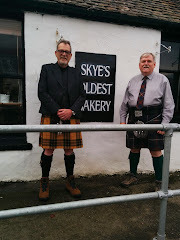 Its location makes Crianlarich a popular stop for tourists and there are a variety of types of overnight accommodation including guesthouses, B&Bs a SYHA Youth Hostel and a Best Western hotel. We arrived in Oban at 4:00pm. Oban (oʊbən/ OH-bən; An t-Òban in Scottish Gaelic meaning The Little Bay) is a resort town within the Argyll and Bute council area of Scotland. Despite its small size, it is the largest town between Helensburgh and Fort William and during the tourist season the town can play host to up to 25,000 people. Oban occupies a beautiful setting in the Firth of Lorn. The bay is a near perfect horseshoe, protected by the island of Kerrera, and beyond Kerrera the Isle of Mull. To the north is the long low island of Lismore, and the mountains of Morvern and Ardgour. During World War II, Oban was used by Merchant and Royal Navy ships and was an important base in the Battle of the Atlantic. The Royal Navy had a signal station near Ganavan, and an anti-submarine indicator loop station which detected any surface or submarine vessels between Oban, Mull and Lismore. There was a controlled mine field in the Sound of Kerrera which was operated from a building near the caravan site at Gallanach. There was also a Royal Air Force flying boat base at Ganavan and on Kerrera, and an airfield at North Connel built by the Royal Air Force. A Sector Operations Room was built near the airfield, and after the war this was extended to become the Royal Observer Corps Group HQ. Oban was also important during the Cold War because the first Transatlantic Telephone Cable (TAT-1) came ashore at Gallanach Bay. This carried the Hot Line between the US and USSR presidents. A short taxi ride drops us at the Carron House (http://www.corranhouseoban.co.uk). The Carron House is a brilliant Guest House and Hostel, owned and operated by Annie MacDonald. 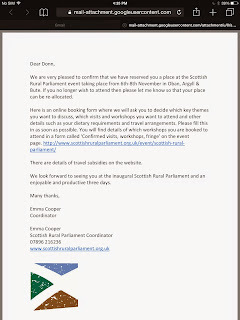 She is passionate about Scotland, informed and opinionated, a perfect delight for travelers. Check out two of Annie's favourite songs (https://www.youtube.com/watch?v=-UFMx3xE9Ko) and (https://www.youtube.com/watch?v=UDT1sx1yePM). 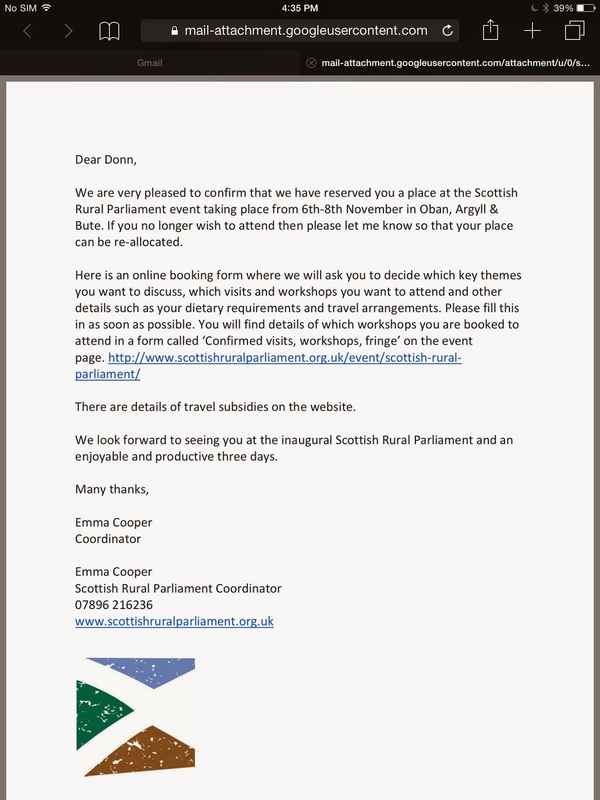 After settling in our rooms, Donn headed off to attend the Scottish Rural Parliament having been invited prior to departing Calgary. This was the Opening Ceremonies, speeches, etc... The sessions start tomorrow. After the opening back to the Carron House and their pub, Mackie Dans (http://www.markiedans.co.uk), a great Oban Pub with live music, the Trails West, a local sound from a local band, please check them out, (https://www.facebook.com/trailwestband). Some Tennants, a few scotch and off to bed. Another great day.